A recently formed private equity firm out of Arizona is getting into the senior housing game, pursuing a strategy that stands out a bit from other new entrants bringing capital to the sector. Founded about a year ago, The tanbic Company just announced its first senior living acquisition. The Scottsdale-based firm provided $3.65 million in equity for the $15.4 million acquisition of Friendship Villas at La Cholla, a 103-bed assisted living and memory care community in Tucson. Greystone provided the debt and the operator, Solterra Senior Living, also is a partner on the deal. The tanbic Company hopes to build on this transaction, targeting $100 million in senior living investments in the next 12 months. The relationship with Solterra—a well-established operator with four communities in Arizona and Colorado—is a crucial component of those growth plans, tanbic Founding Principal Tanner Bickelhaupt told Senior Housing News. Prior to forming The tanbic Company, Bickelhaupt amassed significant experience on the multifamily side. He was Director of Real Estate for Black Rock Development, which had a portfolio valued at over $550 million, and worked for a real estate investment and management company with more than 9,000 multifamily units in the West and Midwest. When it came to forming tanbic, he knew that he wanted to invest both in multifamily and senior housing. 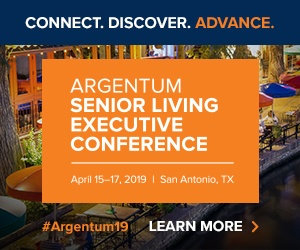 While he is hardly alone among multifamily professionals to see an opportunity in the senior housing side, he believes that his approach is a little different. For one, he believes most multifamily crossover is happening on the independent living side. This is the senior housing asset class that has the most in common with multifamily, and so it’s attracting developers and investors “chasing yield,” in Bickelhaupt’s view. Bickelhaupt is more interested in assisted living and memory care, because it is a more needs-driven part of the market, he said. This provides some protection from the issue of rent affordability, which has been a pressing issue in multifamily as rent ratios are peaking in many areas. Of course, there are risks and challenges involved in assisted living and memory care, and also a learning curve—it’s a “vastly different business” than multifamily, Bickelhaupt said. “Without good operations, the real estate has little value in my opinion,” he said. That makes the partnership with Solterra of utmost importance. It incubated a long time, as Bickelhaupt and Solterra CEO Steve Jorgenson have known each other for about a decade. But now, Bickelhaupt’s trust in Solterra is enabling tanbic to enter senior living by making an acquisition, which is something else that he believes is unusual for a new player in the space. For the Tucson acquisition, there are operating efficiencies that a company with the scale of Solterra can bring in, Bickelhaupt said. In addition, he sees an opportunity in the community’s new 31-unit memory care villa, which had six residents when the deal was in escrow and had risen to an occupancy of 28 by closing. While looking to add value to properties, The tanbic Company intends to be a long-term owner focused on cash flow, not a net seller, Bickelhaupt said. “We really like the idea of making a socially responsible investment, and owning and operating for a really long time,” he said. The tanbic Company is eyeing Arizona, Texas, Colorado, and California as markets for further acquisitions and new development. Navigating the senior living acquisitions landscape also was something that he had to adjust to, and another reason why the Solterra partnership is so crucial, Bickelhaupt added. While in multifamily, he was accustomed to being in bidding wars with two dozen or more competitors on deals handled through national brokerages, but senior living deals tend to be “operator to operator,” he said. That is, because the industry still is largely unconsolidated, with many small owners, they tend to find another operator to hand off to through private channels. As for finding the right acquisition plays or development locations, The tanbic Company is primarily interested in locations with proximity to public transportation, hospitals, shopping, and other amenities, with favorable demographics and job growth. The sweet spot for its investment is $7 million to $12 million per transaction, and the senior living communities with the “best feel” for Bickelhaupt are in the 60-150 unit range. Given the oversupply concerns related to senior housing at the moment, Bickelhaupt again cites Solterra as a competitive advantage. Getting pricing right is one way to thrive even in highly competitive markets, but the most important element is having the right operator, who can enter the market with a strong reputation and drive traffic through the door. “The ace in the hat is the operator,” he summed up. And to extend the card game metaphor, Bickelhaupt makes one thing clear: The tanbic Company is playing a game of hold ‘em. “If we build them, we’re going to build them and hold them, and if we acquire, we’re going to put capital in and hold them,” he said.